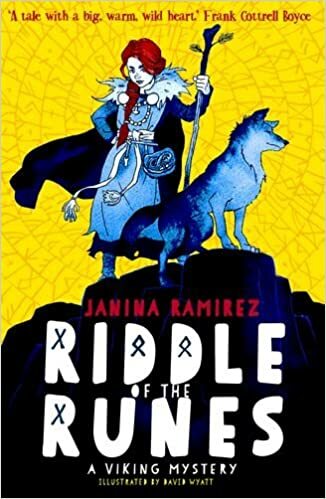 Illustrated by David Wyatt of Podkin fame – this is Janina’s first book for children. Up to now she has been writing academic books and papers, which I am sure are very knowledgeable, but can’t be as much fun as this small volume. David Wyatt’s pictures complement the story superbly. Her more erudite titles are listed at the bottom of this blog. Alva lives with her Viking uncle, her mother, baby brother, her uncle’s pet raven and a wolf in Norway. Her father never returned home from his last adventure. Alva is a curious, determined young girl and when her village is thrown into a mystery that involves a group of monks from Northumberland, kidnap and revenge she can’t help herself and becomes entangled in an adventure like she has never done before. I am pleased to say that the book looks to be the first of a series – it is noted as being Viking Mystery 1 – from which we can assume and hope for further books about Alva and her wolf. This is the story of an island. A tale of history, of stories, magic, the sea and candles. Its the story of a telling of tales. Mysterious, dangerous and wild. This is a book of water, history, and the smell of the sea. This is a story of an island full of impossibility. Of siblings. Bravery and sacrifice. A book about the sea in the depths of eyes. This is a story about storms, tides; low and high… it is a story of an island, the sea, and the safekeeping of stories. 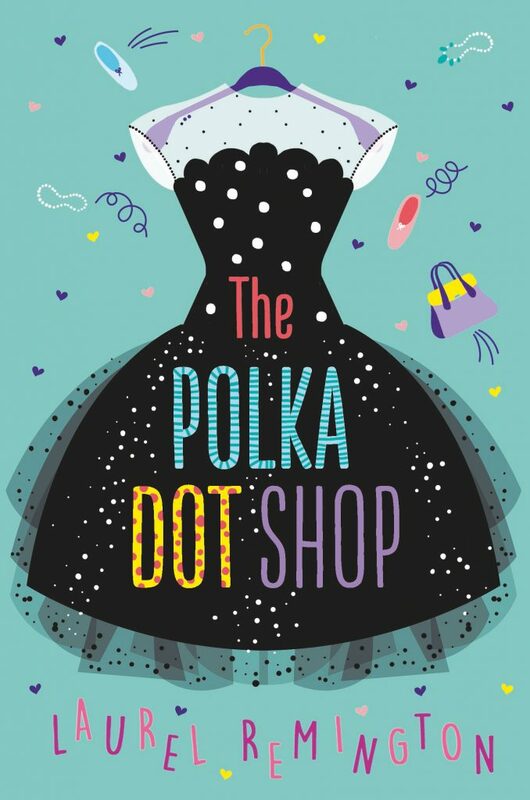 Catherine Doyle’s use of language is partly what makes this such a superb book – there are few books for children that use smell, sight, hearing, taste and touch in quite the way she does. It makes the book a vivid and quite a special read. There’s a Storm Keeper for each generation. Just one and one wish that can be granted. A Storm Keeper is not something that is inherited. The island chooses. Someone that will keep the island safe, they are the person that will become the Storm Keeper. Its a story of the wielding of power. 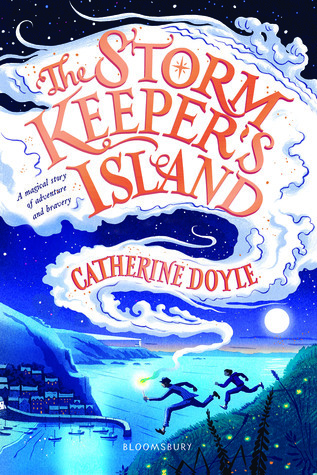 This is a book to take on holiday to an island, where the wind and sea meet. This is a book of wildness which should be enjoyed in peace in a cottage, with the sound and smell of the sea surrounding it… with a fire in the hearth and a natural candle burning on the mantelpiece.